This entry was posted in Food, Healthy Recipes, Recipes from the Garden, Recipes to Make with the Kids, Urban Agriculture and tagged easy farm to table, farm to table, gluten free, naturally gluten free, paleo, Urban Homesteading, vegan, vegetarian, victory gardens. Bookmark the permalink. It’s amazing what you can do with kale. Oh yum, those look like a fun twist on Kale chips! Interesting– I never thought to mix mint and kale! 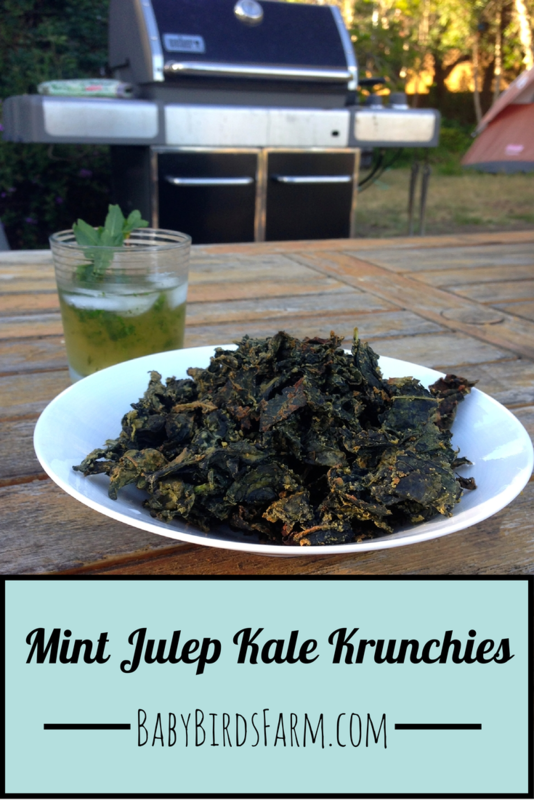 I’ve never had a mint julep or kale chips – love how you put your own twist on things Abby!